Welcome to St. Luke's Church Cannock. In the Parish of Cannock and Huntington. 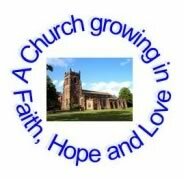 Welcome to St Luke’s Church, a place of worship which has been at the heart of life in Cannock for 900 years. Here you will find a beautiful building with a history of Christian life that has witnessed to the love of God through the ages. Here you will find a vibrant faith community praising and worshipping God our Father, through faith in Jesus as Lord in the power of the Holy Spirit. Here you will find a church of all ages committed to loving and serving God in one another and in our local community. Here you will find a church which treasures its traditions but which is open to new ways of worship and to what God is doing in the present. ​Above all, you will find a welcoming and hospitable Christian community that will encourage you wherever you find yourself on your journey of faith. St Luke's is a Grade II* listed building. It occupies a prime location at the heart of the Town Centre and is surrounded by well maintained grassed areas to the north and south with a good range of mature trees making a beautiful oasis in the middle of our busy town.